When one of the nation’s leading fitness programs for older adults needed a way to grow its member base, personalized direct mail was the right prescription for a healthy campaign. Designed exclusively for members to manage their health and increase their strength, balance, and endurance, this program had the challenge of reaching out to more than 80 healthcare plans and retiree groups, not to mention communicating with its existing members. 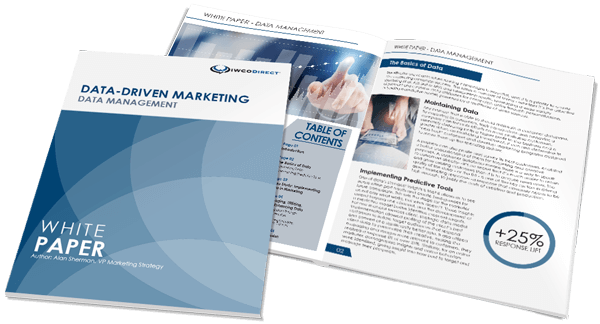 IWCO Direct created and launched a Member Engagement Touchpoint (MET) mailer. Printed digitally on a glossy substrate, this was a multi-panel, highly personalized self-mailer with a member ID card attached. Also included was a map to the four fitness centers closest to the recipient. Finally, this information was designed within the branding guidelines for color and logo usage for more than 80 healthcare plans and retiree groups. Since then, IWCO Direct has introduced new concepts and formats that include Personalized URLs (PURLs) and QR codes. These technologies make it easier for members to participate, while providing the ability for greater tracking by capturing important member information, such as emails and cell phone numbers. Using high-speed digital technology to produce personalized direct mail was a logical choice for this health and wellness marketing program. The flexibility of direct mail and its proven affinity with older audiences proved to be the winning combination. One of the program’s biggest challenges was assuring the accuracy of the highly sensitive information being sent. Any mistakes or mismatches in member ID would require review and possible fines by the Center for Medicare Services (CMS). IWCO Direct not only met this challenge, but its MET mailer produced a response rate of 6%, well above the industry average. Even more impressive, the MET mailer with a PURL achieved a 6.25% response. Continued use of PURLs within the MET mailer has allowed the program to capture emails for 10% of its members. Direct mail now makes up more than 70% of the program’s marketing budget used to acquire new members and communicate with existing ones. Want to get your direct marketing program in shape? Contact us.